WHAT'S IT ABOUT: A washed-up high school football coach moves his family to a poor Hispanic town. With no previous experience, he starts a cross-country team and learns from the local customs. IS IT ANY GOOD? 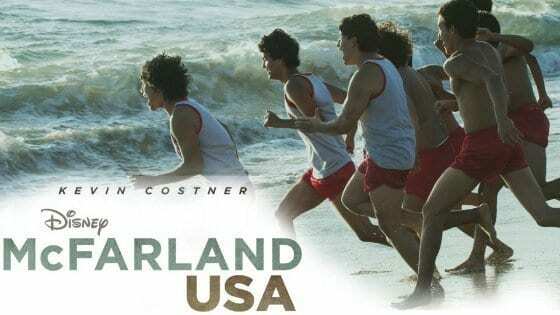 (GRADE: A-) I ran cross-country in high school; it is not a sport that lends itself well to cinematic depiction, but McFarland USA pulls it off by making its characters, and a budding interracial appreciation, the primary focus. Kevin Costner is good at this “white man learns to love another culture and adopt it as his own” thing, having mastered it in Dances with Wolves. He's in rare form here, giving one of his most likable and layered performances. Maria Bello is given much more to do here than the typical “sports movie wife”, and she shines. Most of all, the film removes Hispanic culture (and migrant workers) from the realm of cliched stereotypes, portrayed a vibrant, living community of well-rounded Latino characters. 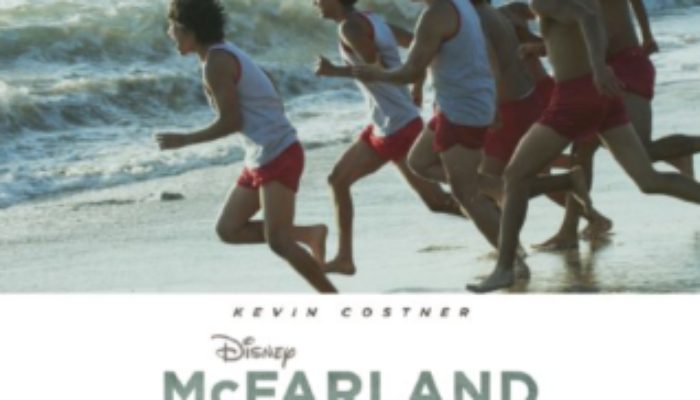 Warm, inspiring, funny, and moving, but not pulling punches in regards to the harsh realities of life, McFarland USA is highly recommended for adults, teens, and older kids. CONTENT OVERVIEW: McFarland USA is rated PG. There are 2-3 uses of “h*ll” and “d*mn, along with 2-3 uses of “oh my g*d',” but also a respectful portrayal of faith and religion (the runners kneel in prayer together). A teenage girl is shown pregnant, which causes strain for her and her family. There's an off-camera fight and a little bit of blood in the aftermath (not much), with teenage boys protecting a teenage girl from harm. Some grown-ups drink beer. MESSAGES TO DISCUSS: Do not fear people just because they are different from you; their friendship and influence can enrich your life. Instead of judging others, try to walk in their shoes and understand their struggles. Enjoy my reviews? You can show your support by entering Amazon here and shopping for anything you like, buying movie tickets through Fandango here, or signing up for MoviePass here to see unlimited movies in theaters for $30/month. 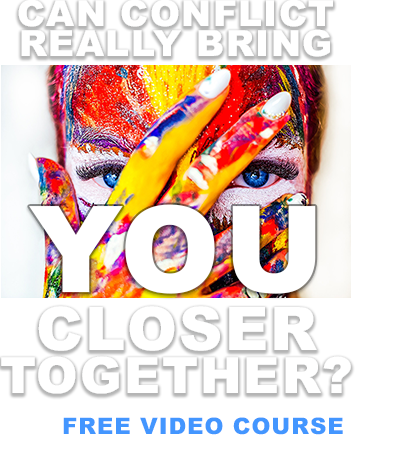 Don't want to miss a thing? Consider liking me on Facebook, following me on Twitter and Pinterest, or circling me on Google Plus. Please help me to grow by sharing my reviews and telling your friends to check out the site. Thank you!